Today, for Meet the Newbies, I have my interview with Laura Tims to share with all of you! I hope you guys enjoy it and add Please Don't Tell to your TBRs! Author Most Likely to Write Fanfiction During Class. Favorite Quote/Motto: "Be the person you needed when you were younger." Brittany: When did you know that you wanted to be an author? Laura: I wrote some Neopets fanfiction when I was ten and ended up getting some fan-Neomail. Somehow that turned into me immediately deciding to be a writer forever. And here we are today. Brittany: What is your most memorable moment on your journey to becoming an author? Laura: Probably when I called my parents to tell them I’d gotten a book deal! I had this little script in my head of the way I thought the conversation would go in a dream scenario, and that ended up happening exactly. It was sweet. Laura: I like writing outside! Sometimes I write in such glaring sunlight that I have to wear sunglasses and a baseball cap. If I’m writing in a chair, my legs always end up tangled in a weird pretzel underneath me. Brittany: If you could collaborate with any of the other of the Sweet Sixteen’s authors on a new book, who would you like to work with, and why? Laura: This is a really hard question, because I’ve read so many incredible books by Sixteeners lately! Probably Marieke Nijkamp, Laurie Elizabeth Flynn, or Jeff Zentner, because their books basically ruined me. Brittany: Which of your characters do you identify with the most, and why? Laura: I definitely had some of Grace’s anxiety issues in high school, though I dealt with it differently. And I focused so much of Joy’s story on guilt because I feel like it’s been a really potent emotion in my own life, even when it was unwarranted. So I guess no one character in particular, but pieces of each of them! Brittany: What is your favorite non-spoilery quote or moment from your own book? Brittany: What is one thing you’d like your readers to take away from Please Don’t Tell after reading it? Laura: That the battles you fight in your own head are real and valid, and you’re amazing for not giving up! 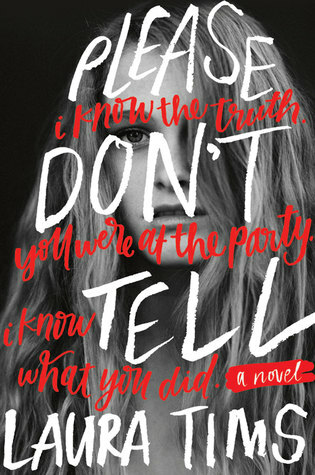 Laura Tims is the author of PLEASE DON'T TELL, coming Summer 2016 from HarperCollins. Yes, he is! I'm glad you love his book, everyone I know does too! The giveaway is being provided by Rachel at a Perfection Called Books who is running this feature but I wish you good luck! Great interview! I can't wait to read Please Don't Tell, it sounds so good! I love the quote that you shared and I love the message that you want readers to take away from the book. I love that this book is about sisters. This is unique in YA for me. Thanks for the post today and introducing this author to me. There isn't a lot of books about sisters in YA is there? 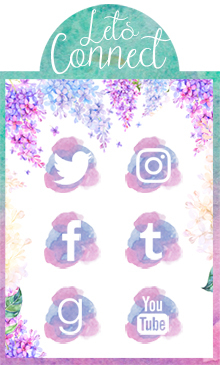 I'm so glad you enjoyed this post, thank you for stopping by! Awesome interview. Nice to meet you, Laura! I'm loving the MTN events! Can't wait to read this book! It sounds amazing! And I loved the quote! I'm already intrigued about the story. Great interview! YAY that makes me so happy! I hope that you enjoy Please Don't Tell and thank you for stopping by! I'm glad to be the one to introduce you to Laura and her book. I hope that you have added Please Don't Tell to your TBR. Thank you for stopping by! I love the thing about "most likely to write fan fiction during class". That is hilarious! I've become the person most likely to work on writing one of my novels during work. :-) Fun interview as well!